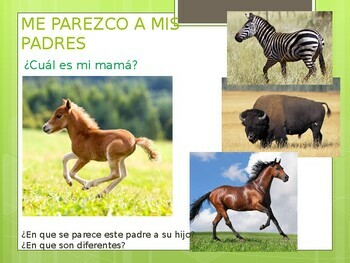 This PowerPoint shows one baby animal and 3 possible parents in each slide. 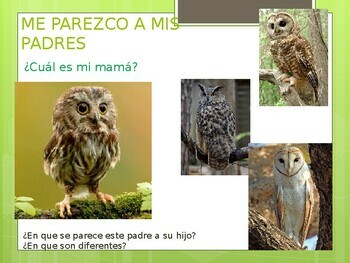 I ask the students Which baby looks like their parent? Which traits does each baby share with his parent? Which baby doesn’t look like his parents? 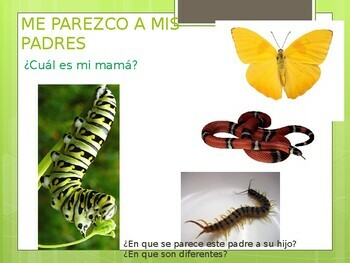 Click 3 times for the students to chose among 3 different parents. moreover, the class discusses the traits (i.e. 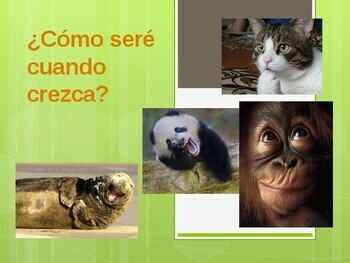 behavior, color, body...) of the animals shown. Using PowerPoint you will enjoy the easy/low prep and no printing. CAMOUFLAGE - CAMUFLAGE: How I Hide myself?